Our dear friends Neil and Louise arranged for a home exchange in Provence, and invited us to join them. For only 12 Euros each we boarded the TGV in Dijon, and in two hours we were in Aix-en-Provence. Neil and Louise met us at the train station and we were off on a whirlwind tour. 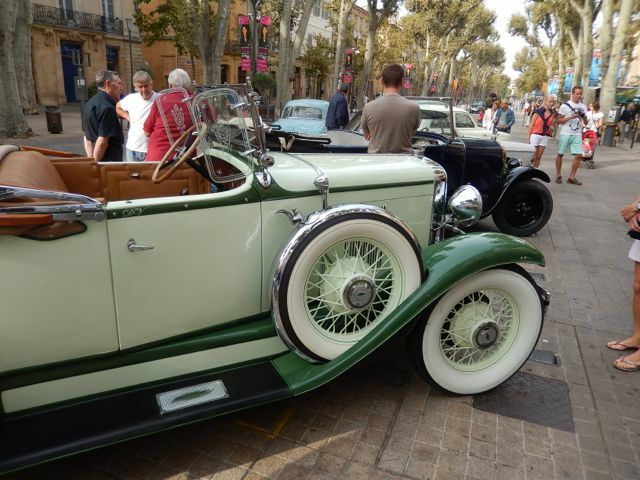 We started with a quick walk around Aix-en-Provence where we discovered an antique car show in the middle of the square. 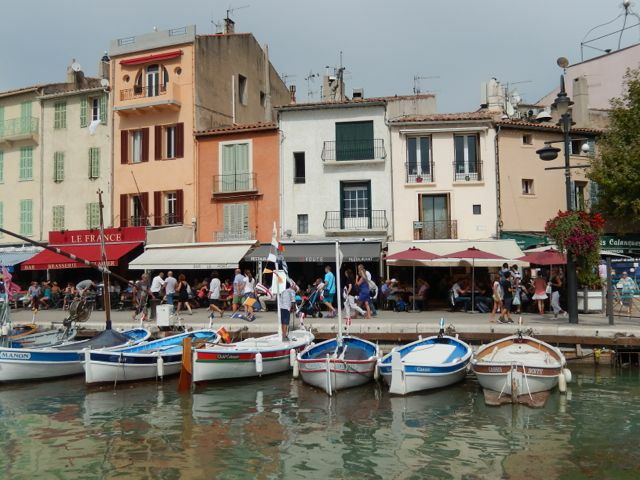 Then we drove to Cassis with its brightly painted fishing boats. The four of us enjoyed a lunch of fresh moules (mussels) and a bottle of Sancerre while watching the boats in the harbor. 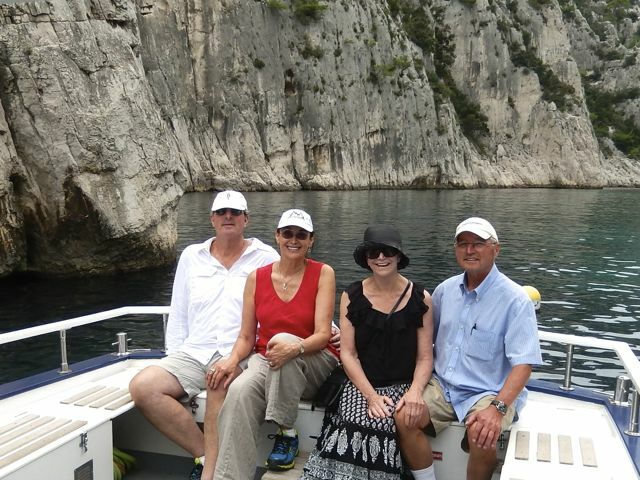 After lunch we took a short boat ride to see the calanques, or what I would call warm water fjords. The next day it was back in the car and we were off to St. Tropez, home of the beautiful and very wealthy. I wasn’t sure they would let me in. 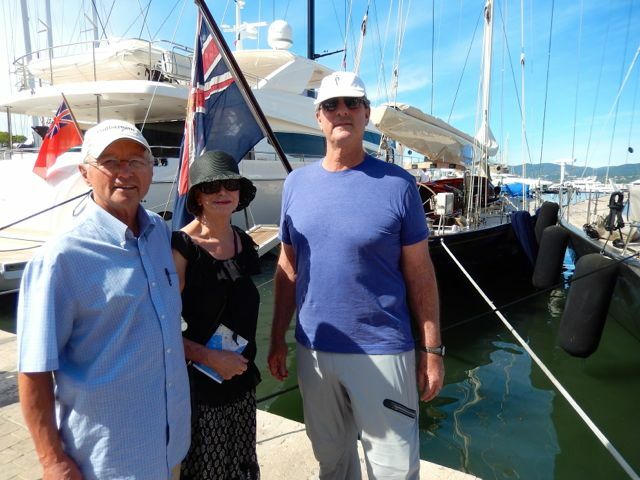 More importantly, it is also home to some amazing yachts. From St. Tropez we drove to the Monastery of La Verne on one of the scariest roads I have ever been on. Carved into the side of a hill, in the U.S. the road would have been marginal for one-way traffic. In France, there was traffic in both directions. At times we had to fold our rearview mirrors in to pass on coming traffic. 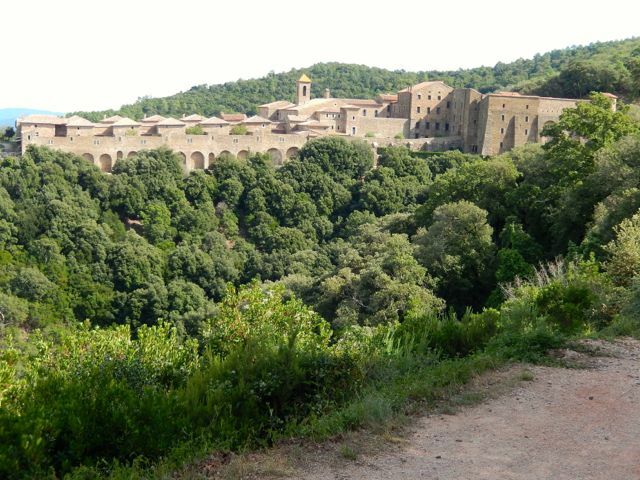 The Carthusian monastery was founded in 1170. It is said that the boundary between the dioceses of Toulon and Frejus goes right through the middle of the church and cloister. 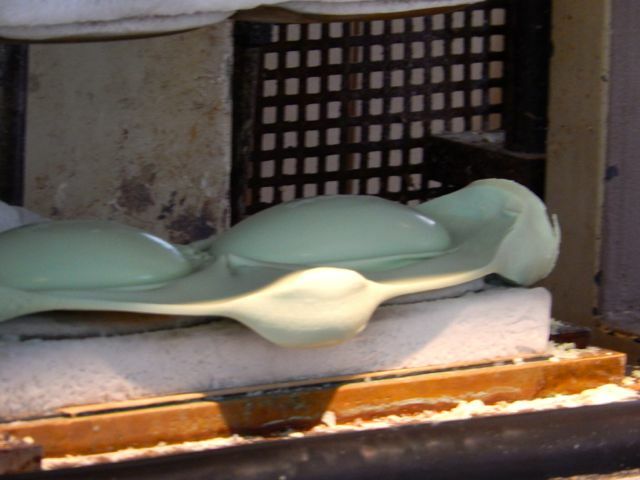 There are still a dozen nuns that live there, and produce some beautiful ceramic vases and bowls. We liked their work so much that we bought a vase for Rabelo’s main salon. From the Monastery of La Verne we headed off to see Cannes, famous for its film festival. 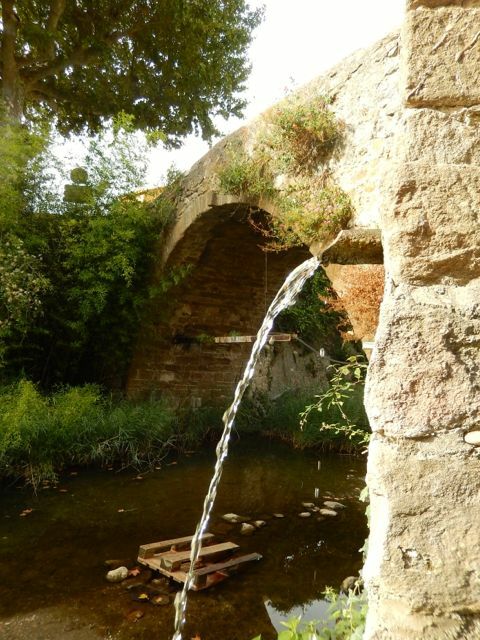 Of course on the way we had to stop in a little village that had a 900 year old bridge that was still in use. Frankly, I didn’t think the bridge looked a day over 600 years. 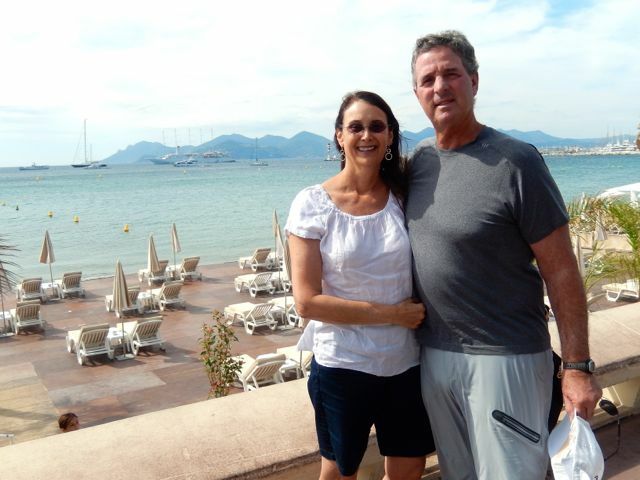 We made a short stop in Cannes just to check out the beach scene. Over half the beach was covered with wood decking where beach lounges had been placed that you could rent. The decking is there so that the tourists don’t get sand on their feet. I’m glad we went, but I won’t be going back anytime soon. 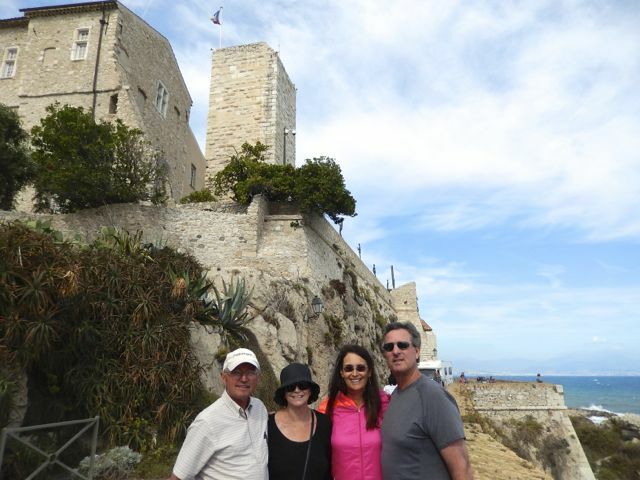 From Cannes we drove to Antibes. 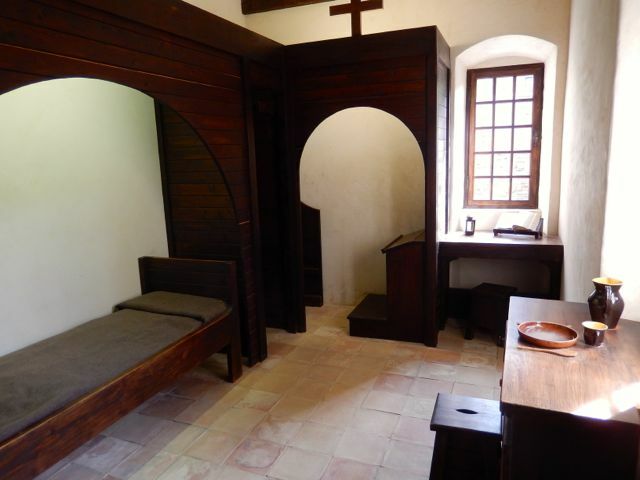 This is where Picasso spent some time in a castle built by the Grimaldi family, as in the royal family of Monaco. The castle is now the Picasso museum with many of his original works along with an impressive collection of photographs of the enigmatic artist. We also stopped at Parfumerie Fragonard. I had never heard of the company, but Lisa said it was quite well known. 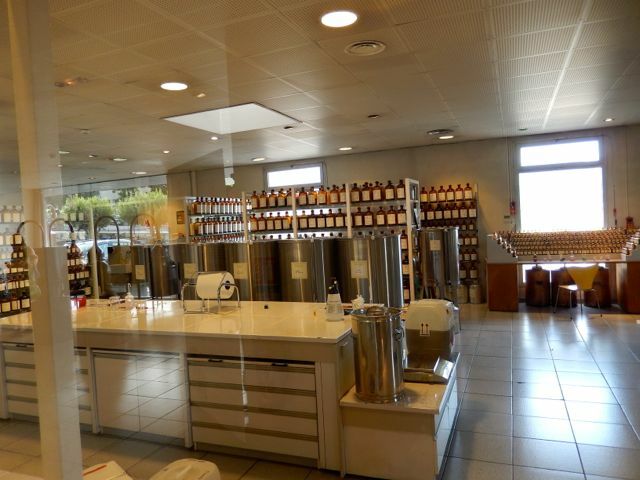 They offer guided and self-guided tours with a large retail store at the end of the tour. The place did smell incredible, but I couldn’t believe how inefficient it was. I watched in amazement as an employee folded one box at a time, placed a single bottle of perfume in each box, and then set the box in a larger box for shipping. The entire process could have as easily been done a thousand times faster by machine. The only way to support that kind of inefficiency is by charging an outrageous markup for your product.